“The Literature of Crimes” includes 13 stories by writers such as James M. Barrie, P. G. Wodehouse, and Anthony Burgess. 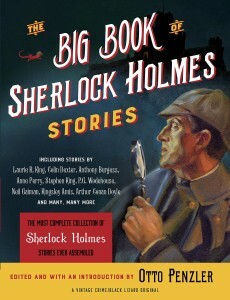 Three stories in which Sherlock appears only in spirit are featured in “Holmesless.” Parody is the driving force in the 11 stories that appear in “You Think That’s Funny?” John T. Lescroart and Anne Perry are among “Contemporary Victorians” who have turned their hands to the stories. Doyle’s first story, “A Study in Scarlet,” appeared in 1887; the last of 60 original stories, in 1927. Those stories have generated more than 25,000 books, stories, and articles written by a staggering array of authors who are famous, good, middling, bad, or unknown, according to Penzler. While this compilation only includes stories through 2011, there is no doubt that somewhere in the world yet another story is awaiting publication. One of the many standout stories is that by Manly Wade Wellman (1903-86), author of many award-winning horror stories and nonfiction works. “But Our Hero Was Not Dead” is set in the early days of World War II along the Sussex coast. A Nazi paratrooper floats to ground and seeks direction from a nearby house inhabited by a female housekeeper and two old men, long past their prime. Of course, the reader knows who they are rather quickly. The Nazi plan to create a homegrown battle force is easily thwarted by “an old man who has retained the use of his brains, even after long and restful idleness.” One important element here is “proof” that Holmes, whom we know was born June 15, 1854, was still alive around 1940. Old, indeed. Ring W. Lardner presents “A Study in Handwriting” in which Holmes decries “the increasing popularity of the typewriter.” He is best known for his satiric, usually fictional stories about baseball. His first successful book in 1916 employed letters to tell the story. And that is what this story does as Holmes challenges Watson to describe the man who wrote a particular letter to the editor of the Tribune, which just happened to be the home paper of Lardner’s syndicated columns, “In the Wake of the News.” The letter says that R. W. L—— is a terrible writer and names that column. Holmes’s explication of the letter fits the real Lardner exactly. In a short 10-paragraph story, “The Case of the Missing Patriarchs,” Logan Glendening reports that Sherlock Holmes has died at age 80 and ascended into Heaven to great celestial excitement. Immediately brought into audience with the “Divine Presence,” Holmes is asked to find Adam and Eve who have been missing for two aeons. After asking that inhabitants be gathered in a large field, Holmes solves the case in a moment. In fact, the reader of this review can solve it with just the information presented in this paragraph. 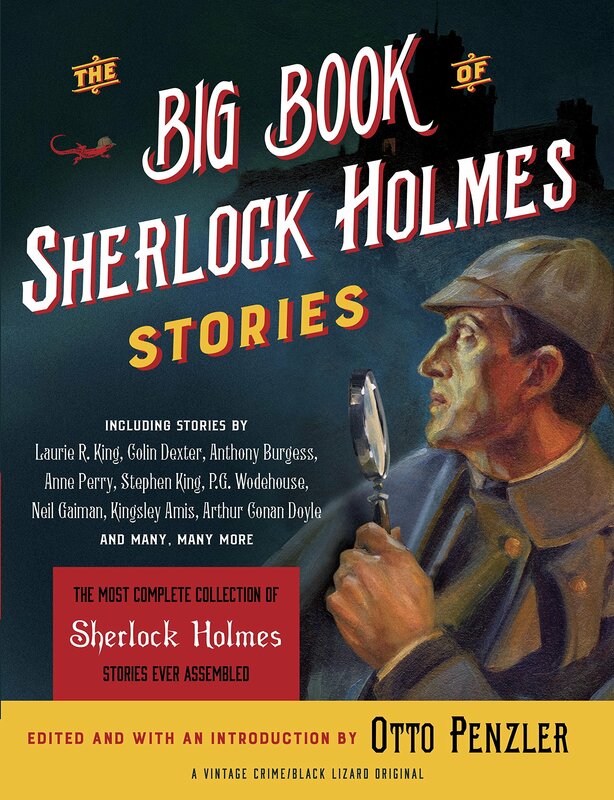 The Big Book of Sherlock Holmes Stories is a delightful book, but it is not meant to be read in one sitting. Rather, one should take time to savor the stories again and again. There is so much here to be enjoyed and even a few that are included because they were not so well-conceived, but you should perhaps make that evaluation. These stories begin with Doyle’s 1890s parodies and end with Neil Gaiman in 2011. Taken together, these stories are irrefutable proof of the hold Sherlock Holmes continues to have on us in print, television, and movies. I still believe that Jeremy Brett was really Holmes while all the others were mere actors playing a part.